State-owned Steel Authority of India (SAIL) is focusing on ramping up production to improve productivity of its employees. The average cost per employee has risen 61 per cent, compared to its peers like Sajjan Jindal-led JSW Steel, per annum. “Instead of paying our employees less, we are trying to increase production by bringing in more value-added products into our profile. There is a simple fundamental that as you increase production, your fixed cost gets divided over larger number of units, and this is exactly what the company aims to do to lower the hit from overall employee expenses,” said chairman Anil Kumar Chaudhary on the sidelines of India Steel 2019. SAIL is the largest producer of the alloy in the country, with a capacity of 24 million tonnes. 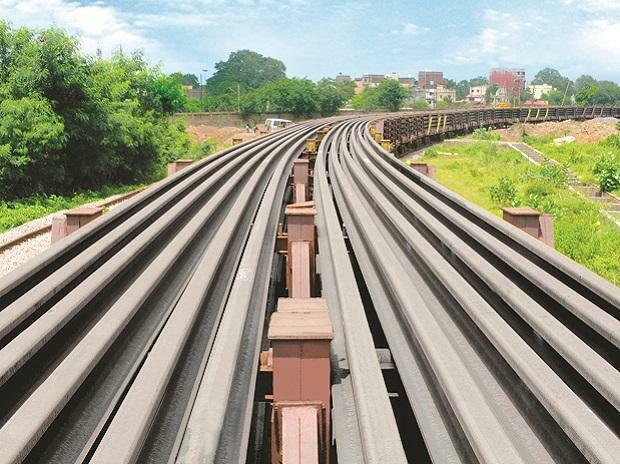 It aims to attain a capacity of 50 million tonnes in the coming years. JSW Steel, Jindal Steel and Power, and Tata Steel are among its peers in the domestic market. Over the last three-and-half years, SAIL has managed to lower its employee expenses by nearly 10 per cent even as it continues to remain top among its peers. The average employee expenses of SAIL during the period under review stood at Rs 2,278 crore. 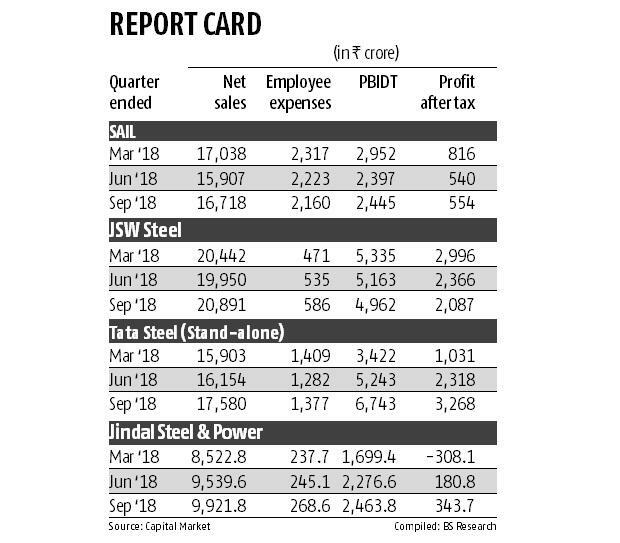 In comparison, the lowest figures were of Jindal Steel at Rs 236 crore and JSW Steel at Rs 442 crore. Tata Steel’s India operations have average employee expenses of Rs 1,172 crore in the same period. “We encourage voluntary retirement; every year nearly 5,000 employees are retiring. We are replacing just 20 per cent of the retired lot. For the balance, we are re-deploying existing employees or using technology to increase output. We are putting strong thrust on technology to replace manpower,” explained Chaudhary. SAIL has around 75,000-77,000 employees across its seven plants. The company is currently engaged in modernisation and expansion of its facilities, while it is gearing up to tap the rising demand for steel in the domestic market. “We have managed to reduce manpower with each passing year, and this trend will continue,” said Chaudhary. Chaudhary sees strong demand for steel from the domestic market over the next three years on the back of robust construction activity. “Given the strong demand outlook, prices of steel are also seen rising, as well as because of the high raw material cost. There may be bouts of correction but overall steel prices will remain buoyant in the domestic market,” he said. The domestic steel industry has been grappling with cheap imports from China for a while. Though the government has taken several steps over time to curb imports, inflow of cheap material continues to hit the market, albeit at a slower pace.